Majuli island in the Northeastern state of Assam, listed as the largest river island in the world in the Guinness Book of World Records, is one of the best places to visit in Assam, being home to a unique tribal culture with spectacular surroundings. 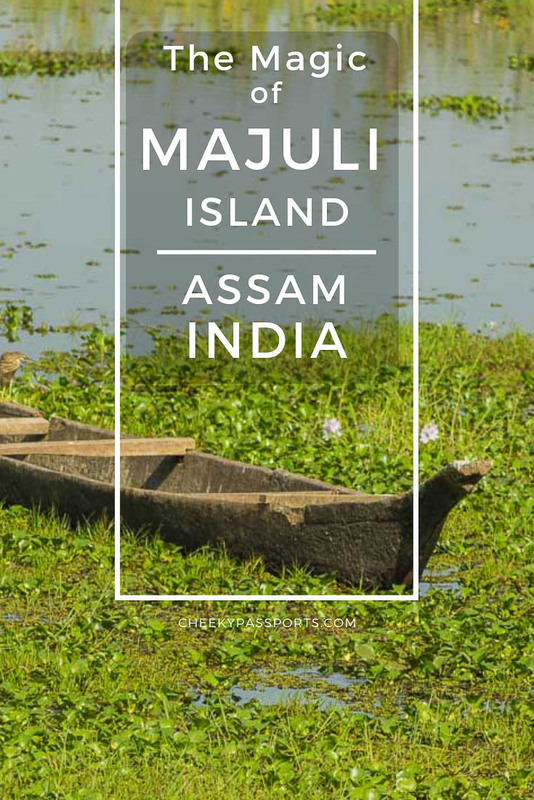 Unfortunately, Majuli, Assam has been shrinking rapidly due to erosion following the heavy flooding of the mighty Brahmaputra River in which it lies, meaning that in a couple of decades, Majuli island might well be lost altogether. If you plan on going to one of the best places to visit in Assam, be sure to make your way there asap. Sadly, Majuli, Assam might really not last very long! Having trouble booking flights to Guwahati (Gateway to Majuli)? Choose Kiwi! This is covered in a separated post. 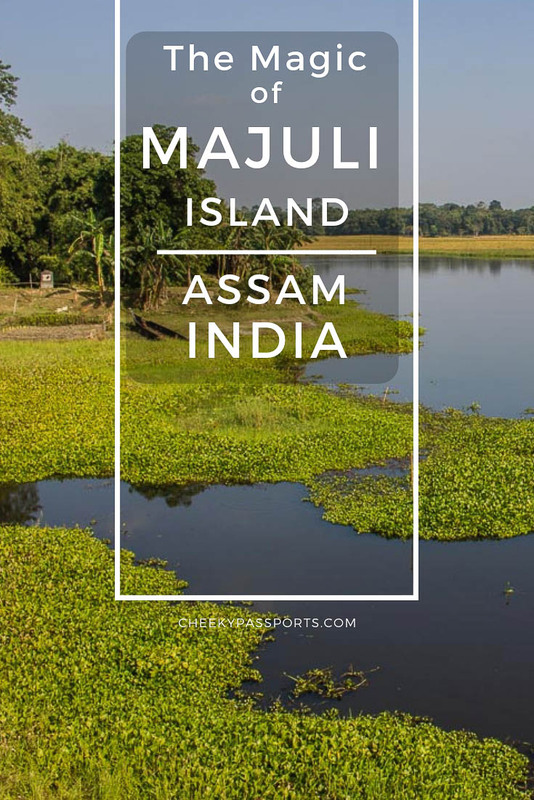 Click here to find out how to reach Majuli island from Jorhat, Assam. If you would like to visit Kaziranga National Park, another spot on our list of the best places to visit in Assam, after having been in Majuli island, you will need to backtrack to Jorhat and get an auto rickshaw to the bus station. Find a bus headed west (for example to Tezpur or Guwahati), and ask to be stopped at Kohora Market, right in front of the entrance to the Kaziranga National Park. Our tips and recommendations for visiting Kaziranga National Park are published in this post. You might be pleased to note that the island of Majuli, Assam is very flat, so it is really easy to cycle around it. Bicycles can be rented from Cycle Café in Garamur, or may also be organized by most of the homestays. La Maison de Ananda, where we were staying, provided so-called ‘Indian bicycles’ (classic bicycles with no gears) which we found easy to use. We first tried getting mountain bikes from Cycle Café but they had already all been booked. They cost Rs 200 (€2.50) per day and are probably the preferred option. The Indian bicycles cost a cheaper Rs 100 (€1.25) per day. Riding bicycles is the perfect way in which to experience the island and taking in the breath-taking scenery, in one of the best places to visit in Assam. The island is however rather large, so you might not be able to cover too much of it by bicycle in just one day. Renting a scooter is another great option, and your homestay should also be able to arrange this. La Maison de Ananda rents out scooters for Rs 500 (about €6.20) per day. Renting a car for sight-seeing around the island is also an option and is probably the most comfortable way of visiting the island if you intend hiring a guide. We believe that hiring a guide in Majuli is not essential like in some other places in Northeast India such as Ziro Valley, but with a guide you will easily get to visit places that you might not have known about if getting around the island independently. A car with driver for the day rented from La Maison de Ananda costs Rs 2000 (€24.75). Our guide, kindly provided to us by Holiday Scout, on our first day in Majuli, Assam, did a great job of showing us around some places we would have missed, had we only traveled around solo. Nitul is actually a local monk who is very knowledgeable about Majuli island and not only showed us around, but also imparted snippets of information which made our stay all the more interesting. 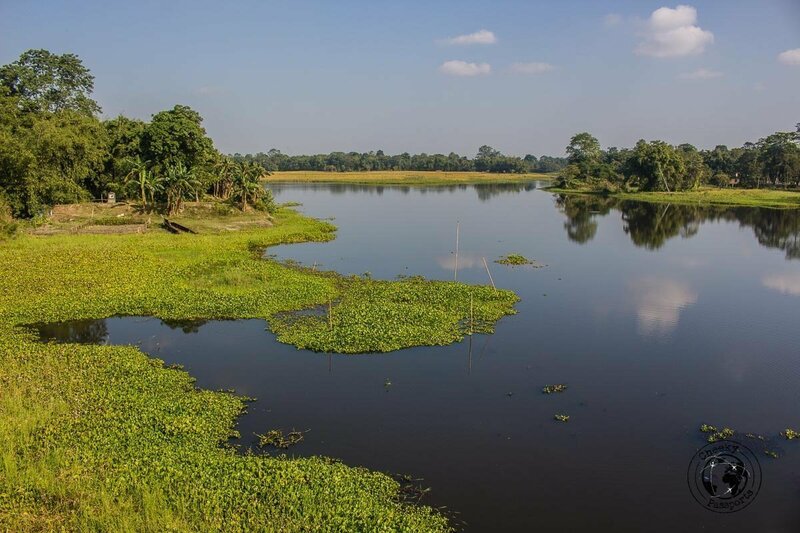 If you would like help with planning out your trip to Majuli island, Holiday Scout will take care of all your needs in one of the best places to visit in Assam. On our second day on the island, we rented bicycles and just wandered around enjoying the sleepy vibe of Majuli island. 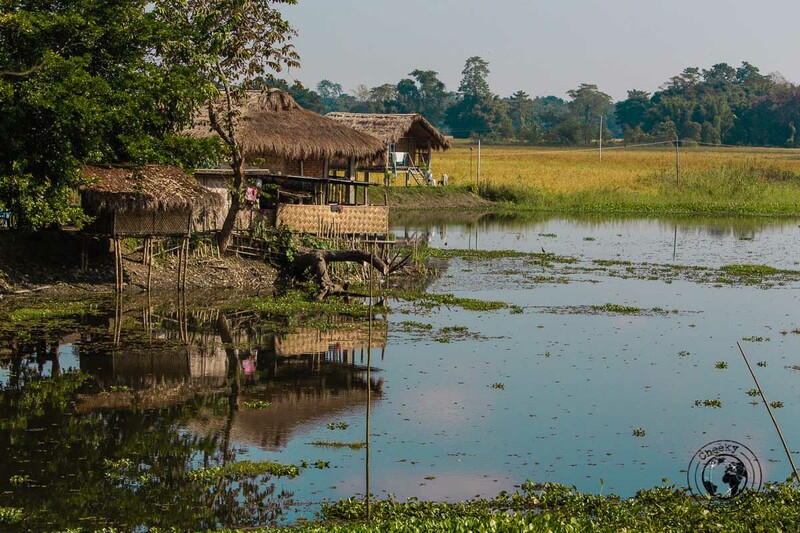 We feel that the magic of Majuli, Assam is best experienced by watching the slow-moving life on the island, the cows roaming gently around the many rice paddies, the local villagers chatting and laughing on the street corners, the kids walking to school and the birds flying high in the bright blue skies. 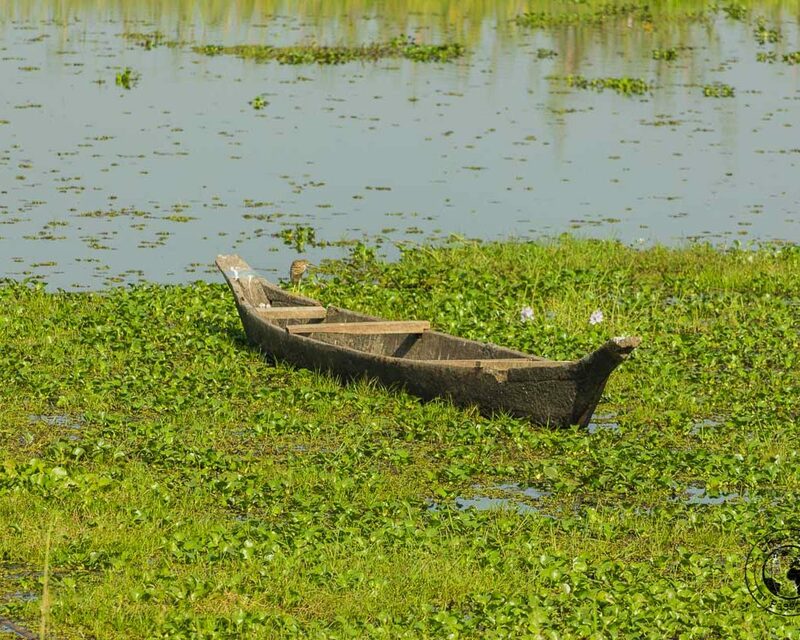 Many of the things to do in Majuli island can be experienced in one day. Indeed, we saw as much as we could in one day, leaving our second day ‘free’ to roam around at a leisurely pace. 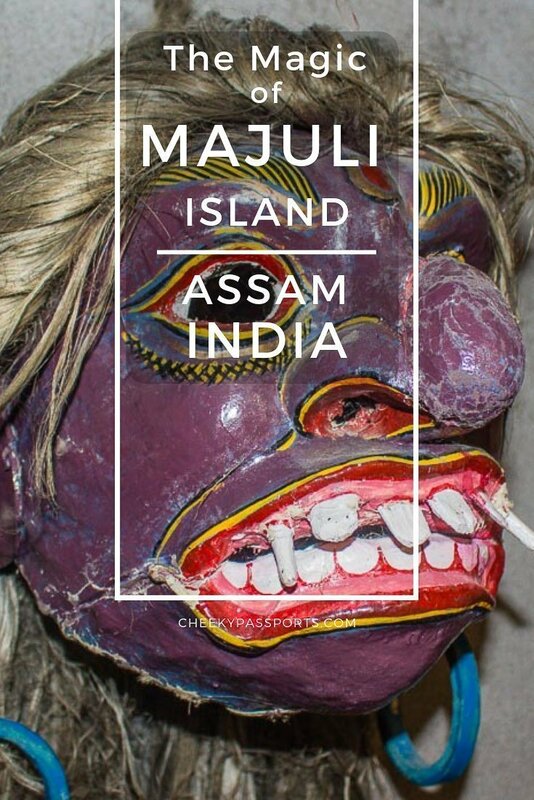 Here are the best things to do in Majuli island. 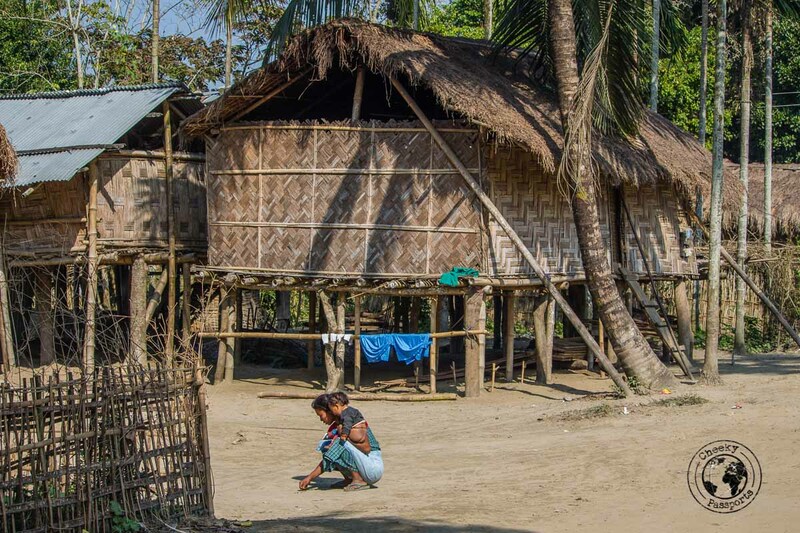 Nitul explained that some 200,000 people live on Majuli island, which is home to six colleges and some primary and secondary schools. 85% of the people on Majuli, Assam are educated, and because the island is ‘dry’ (no alcohol is available), there is very little crime. We cannot tell whether crime is directly linked to alcohol consumption, however this is a common belief in Northeast India, a region with many ‘dry’ states. Four types of rice are grown around in the island in the many rice paddies: black, red, white and sticky. The red rice is very popular with visitors and is indeed rather tasty! Commercial agriculture of mustard seed oil is the main agricultural activity on the island, followed by farming of black daal and sugar cane. 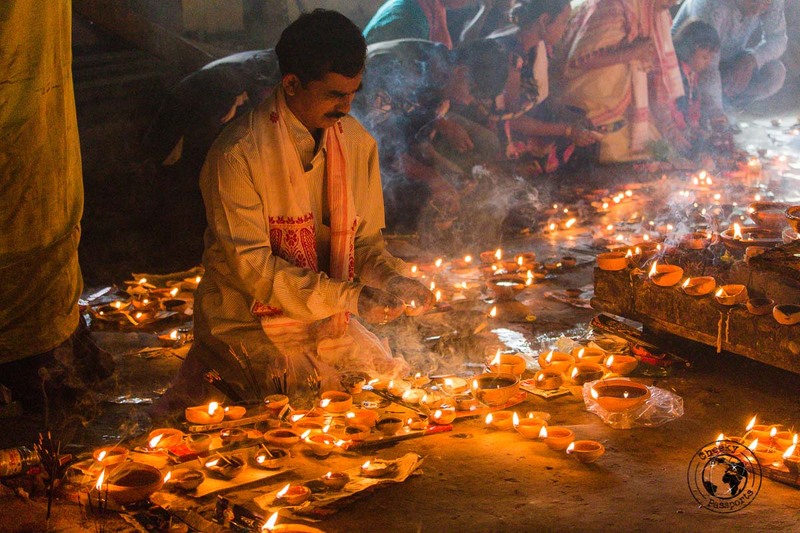 The Majuli Satras are religious-cultural institutions of the Vaishnava tradition specializing in traditional performing arts and crafts including the masks to be used in various performances, utensils and jewelry, boats, and many others. Each satra specializes in a unique art form. 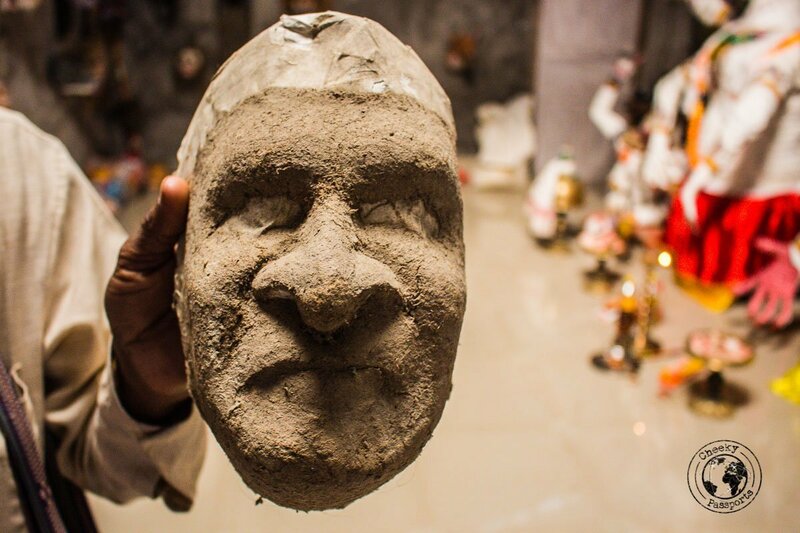 We visited Chamaguri Satra, a small satra specialized in making masks for Bhaonas, traditional dramas depicting mythological characters which are brought to life by means of these masks. 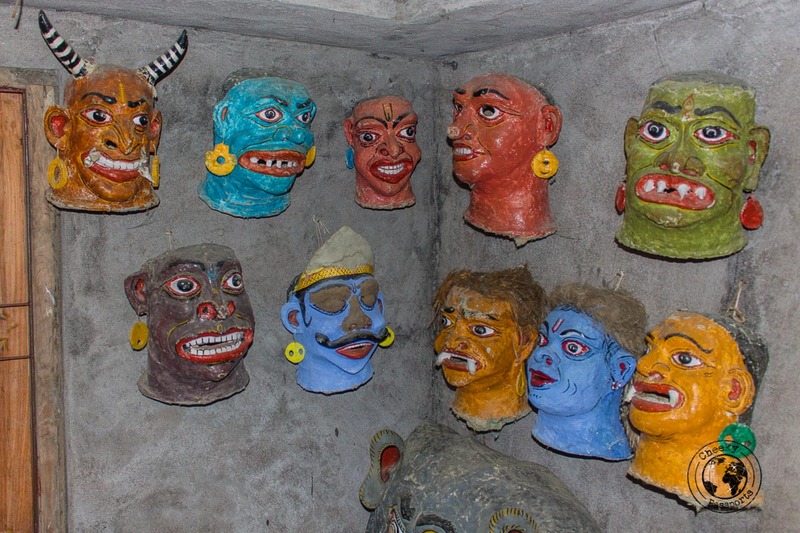 The whole family practices the craft of mask-making, using bamboo, cotton cloth and clay to produce the dramatical ‘heads’, with techniques that have been utilized for centuries, a testimony to the satras’ unique cultural heritage. The Sri Sri Auniati Satra is one of the more prominent of the Majuli Satras, famous for worship of Govinda, the idol of Lord Krishna. Satriya performances are held here, including prayers, dances and religious theatrical shows. 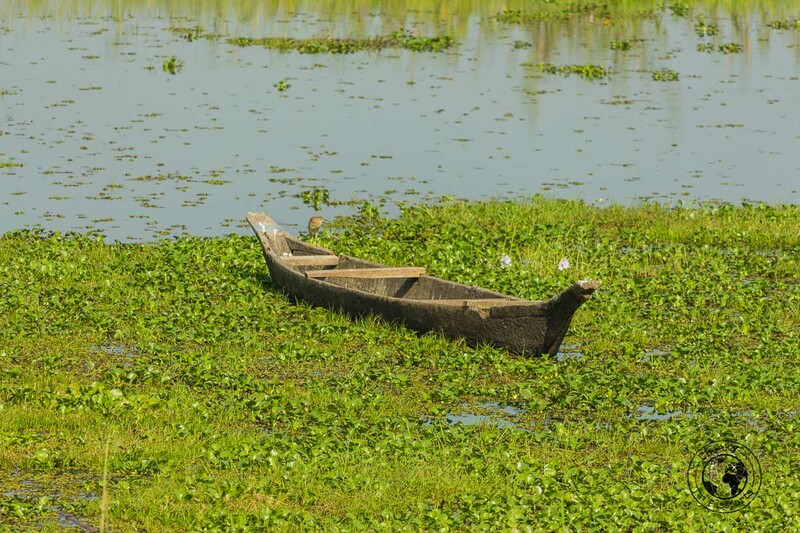 There are over 20 Majuli Satras, many of which can be visited. 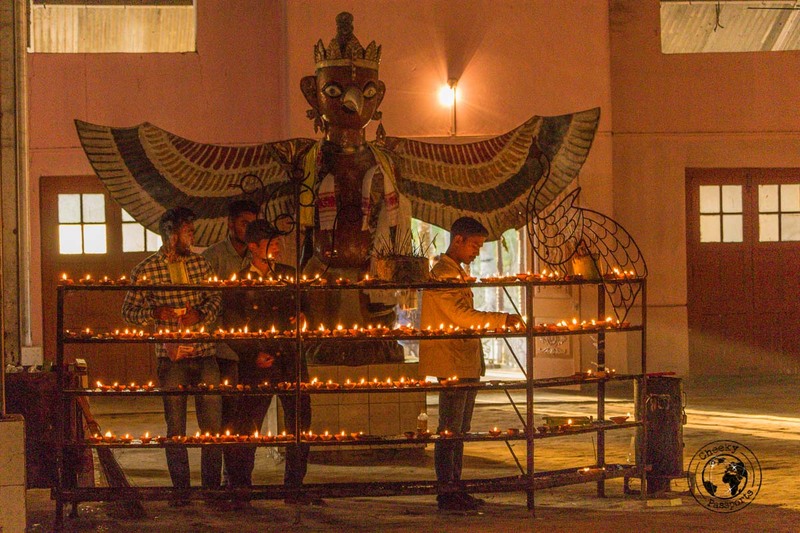 If you hire a guide, they will explain all about the different satras, how they came about, and the ancient craft techniques still used today. Nitul, our guide explained that Majuli island is inhabited by three main tribes, the predominant one being the animist Missing (or Mishing) tribe. Many of the tribal villagers live in elevated wooden houses scattered around rice paddies and it is quite fascinating to just casually walk or bike around the villages, watching the locals go about their daily chores. Majuli island is one of the places to visit in Assam, where tribal life can be experienced very easily. One of the Missing villages is only a stone’s throw away from La Masion de Ananda (to the north), and is even accessible by walk. 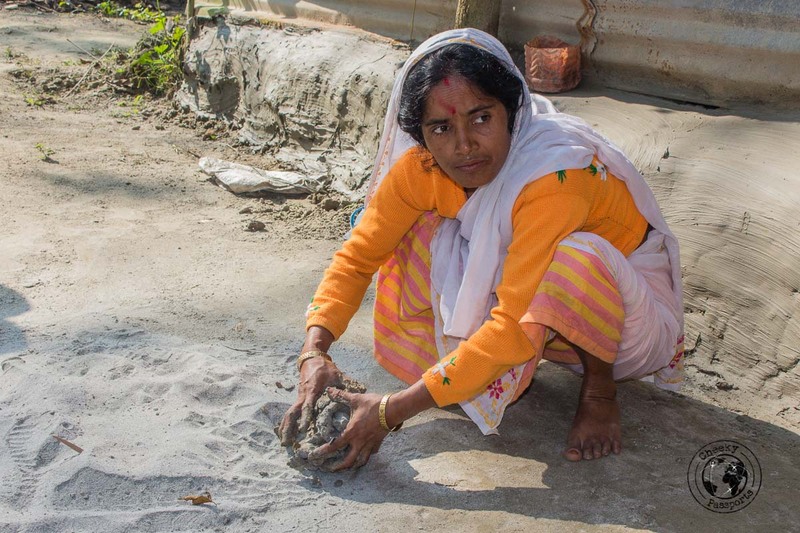 Halmora is a clear example of how erosion is affecting the activities around Majuli island. Halmora village is located close to the river banks and erosion has caused the village to lose much of its agricultural land. 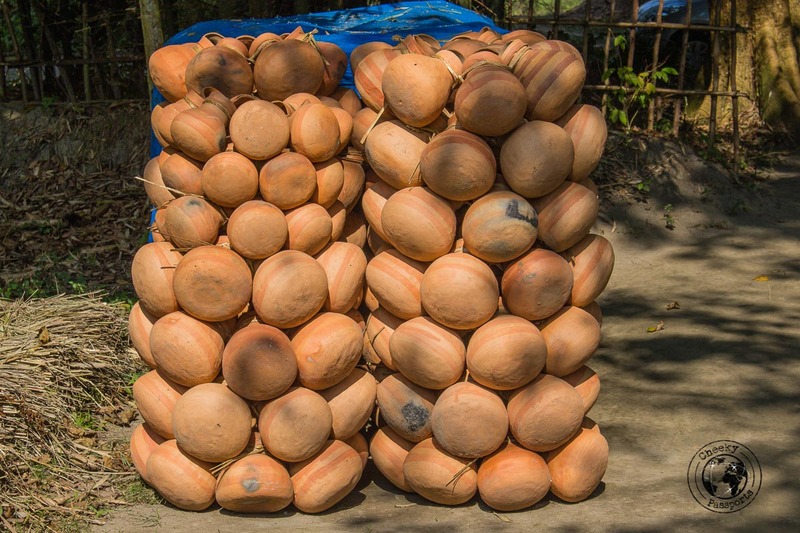 The villagers have subsequently shifted to pot-making activities and now supply clay pots to all of Assam. Some 400 families make pots in Halmora all using the same identical process. Women are responsible for actually making the pots whilst the men take care of logistics and transportation. The pots are made using hands and legs, rather than using the usuual typical wheel. One person can make 60 – 70 pots every day which we felt was quite a lot! Each family owns a small pond where the clay is kept humid, whilst the baking part of the process happens in large common pyres found all around the village. It is interesting to observe the beds inside the village houses which are placed very high above the flooring. Flooding is rampant during monsoon season, with water frequently entering the villagers’ homes. Beds are thus elevated so that people can sleep comfortably over the water during the summer monsoon months. Easily one of the more interesting places to visit in Assam! This was by far our preferred activity on Majuli island. Majuli, Assam is a really serene and peaceful place with gorgeous rural scenery and few vehicles, making it a great place in which to cycle around and take it all in! 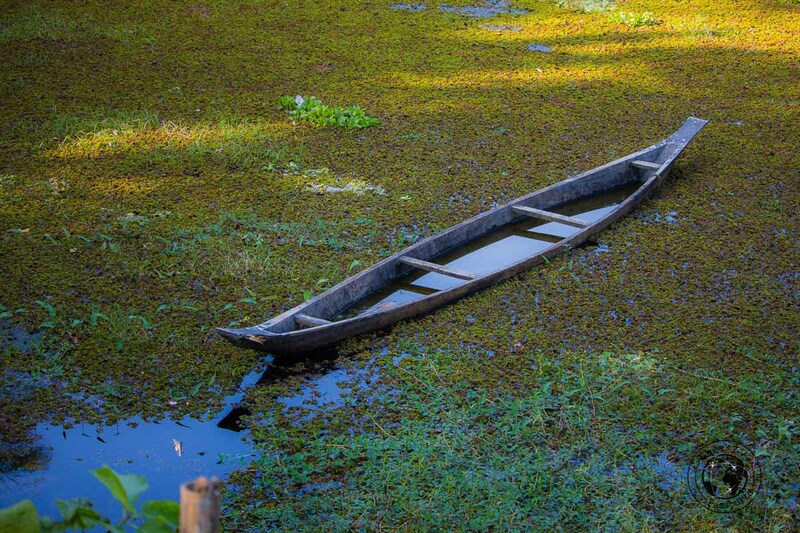 The beauty experienced on Majuli island easily made it one of our favourite places to visit in Assam! There isn’t much in the way of Majuli island hotels, with guesthouses and homestays being the way to go. La Maison de Ananda, arranged by Holiday Scout seems to be the best accommodation option on the island, and indeed we were not disappointed. La Maison de Ananda consists of very well-priced rooms and cottages. Our simple but perfectly adequate cabin with a private bathroom cost around Rs 400 (about €5), so really, it was incredibly affordable. Private cottages cost a little more, and Monjit, the owner, is currently working on another accommodation project. The cabins have two charging points, one inside and one on a small patio where you can relax. Mosquito nets and blankets are also provided, and hot water costs Rs 20 (€0.25) per bucket. There are not many eating options around Majuli island. We were happy to have breakfast and dinner at the guesthouse. 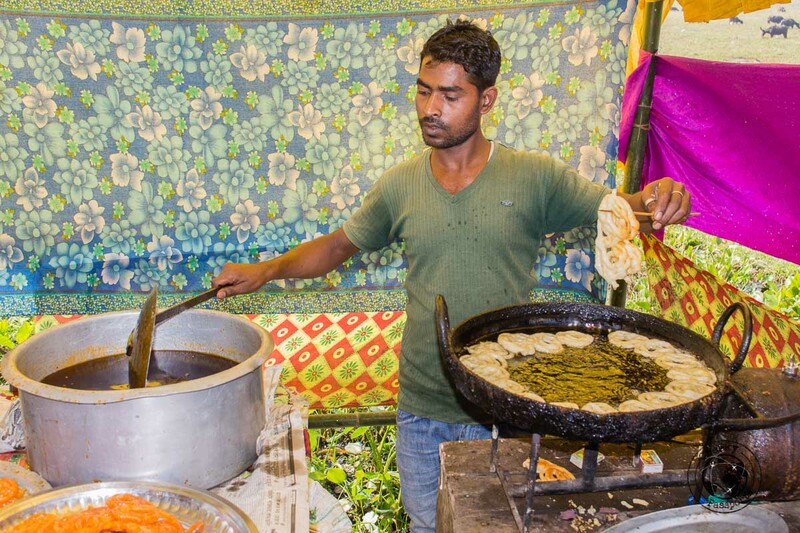 The food was good – bread and omelets for breakfast, and veg, chicken or fish dinners consisting of rice, daal, some veg dishes and chicken or fish depending on your preference. The food at Cycle Café was entirely disappointing and took about 90 minutes to be served despite the fact that we were the only customers around. Some local eateries serve the usual rice, daal and vegetables for lunch at very affordable prices. If you’re looking for the best places to visit in Assam, be sure visit Majuli island as quickly as possible! The island is eroding very fast and you may find that later on may be too late! We would like to thank Holiday Scout for sponsoring our stay and providing us with a guide in Majuli. Opinions expressed in this post are, as always, our own.